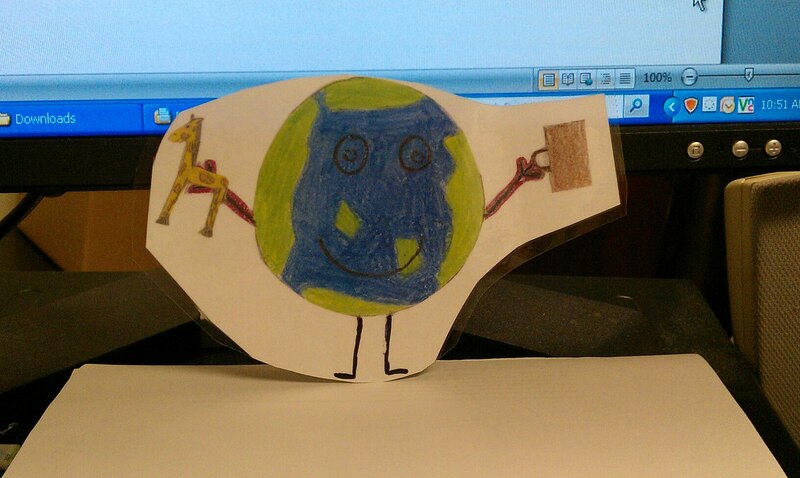 Mr. Globetrotter began his journey in my office two weeks ago in Cleveland, Ohio at the Center for Families and Children. He came in, sat at my desk and spent a few hours with me. One of the things that he learned is the main way you can be caring to people is just to “smile.” In my office, we deal with individuals that have lots of needs and are going through all types of situations, and the best way to begin to find out what their needs are, is just to start the conversation off with a smile. The holidays are real festive in the Castaneda Family. One of our traditions is to get together during Thanksgiving. We usually go to Great Wolf Lodge for Thanksgiving and have a big family dinner. All the children have fun by playing in the water and some of the adults just lounge around the pool. It is great to see family from everywhere. Maybe Mr. Globetrotter will catch up with us by Thanksgiving or Christmas. If not, I am hoping he will be at the table and wherever he is on his journey, his picture will be taken. Congratulations on your first stop, Mr. Globetrotter!